It was a pleasure to welcome Ketchikan’s Legislative Liason to the capitol this week. The group came to Juneau for their annual trip to present the community’s legislative priorities to the administration and legislators. They did a stand-up job and I have been receiving many compliments from my colleagues about their visit. I would like to thank the delegation and the entire staff at the Prospector Hotel for organizing another great legislative reception this year. It is considered one of the best events of the session. 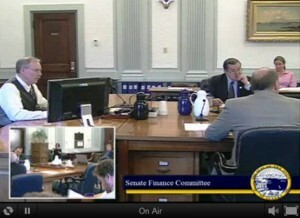 As the legislative session progresses in Juneau, Alaskans can watch all legislative hearings live. The Legislature has launched AlaskaLegislature.tv, an on-line video service allowing you to observe all committee hearings held in the Capitol via web-cam. 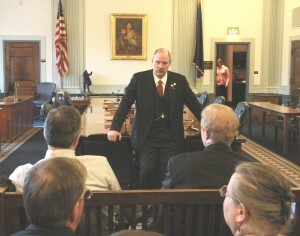 This coverage is provided by the Legislature and to give Alaskans better access to happenings here in Juneau. The Governor released his FY 2011 Supplemental Budget this week, including funding to support transportation in Southeast Alaska. The Inter-Island Ferry Authority (IFA) received $350,000 for operational aid in the governor’s request. The supplemental budget is used to ensure public services are maintained through the end of the fiscal year. I’m pleased the Governor included this funding in his budget, and look forward to working with colleagues to continue to improve transportation in our region. I was pleased to welcome Kimberly VanWyhe to my staff this week. Kim is a lifelong Alaskan, and brings a solid political background to serving our district. She previously interned for Congressman Don Young and has tracked Alaska issues for several advocacy groups in Washington D.C. Kim is an energetic young professional and will be a great addition to our office.